Fathom Events and Warner Bros. Pictures have partnered to bring Academy Award® winner Peter Jackson’s poignant WWI documentary They Shall Not Grow Old to cinemas, presented in 2D and RealD™ 3D. Jackson recorded a special introduction to the film—which he has called his most personal—offering his perspective on why the film is important for audiences, who have never experienced WWI footage as anything but grainy black & white…and silent. In “They Shall Not Grow Old,” Jackson opens a window to the past in a way that has never been seen or heard before, noting, “Restoration is a humanizing process.” The screening will be immediately followed by special content offering firsthand insights into what went into this groundbreaking feat of research, filmmaking and storytelling. 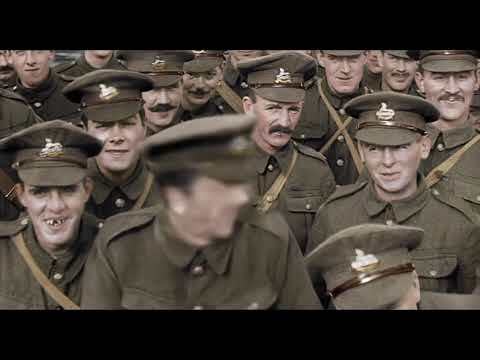 The acclaimed documentary is an extraordinary look at the soldiers and events of the Great War, using film footage captured at the time, now presented in a way the world has never seen. By utilizing state-of-the-art restoration, colorization and 3D technologies, and pulling from 600 hours of BBC archival interviews, Jackson puts forth an intensely gripping, immersive and authentic experience through the eyes and voices of the British soldiers who lived it.